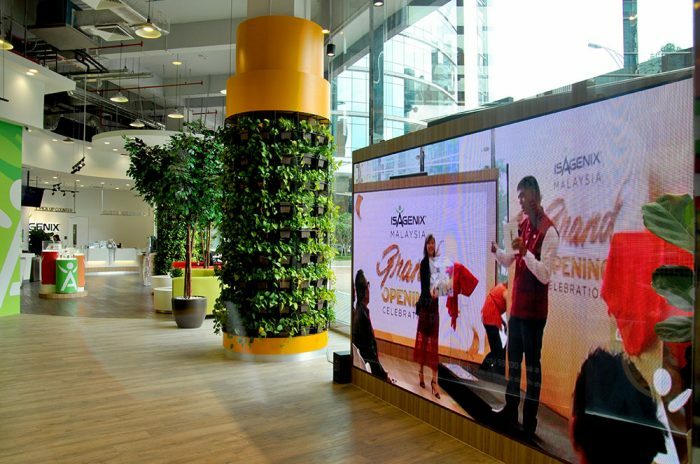 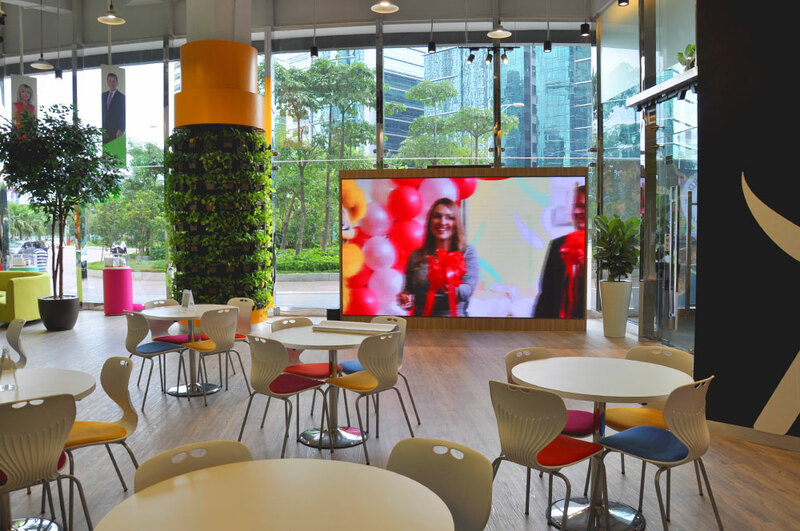 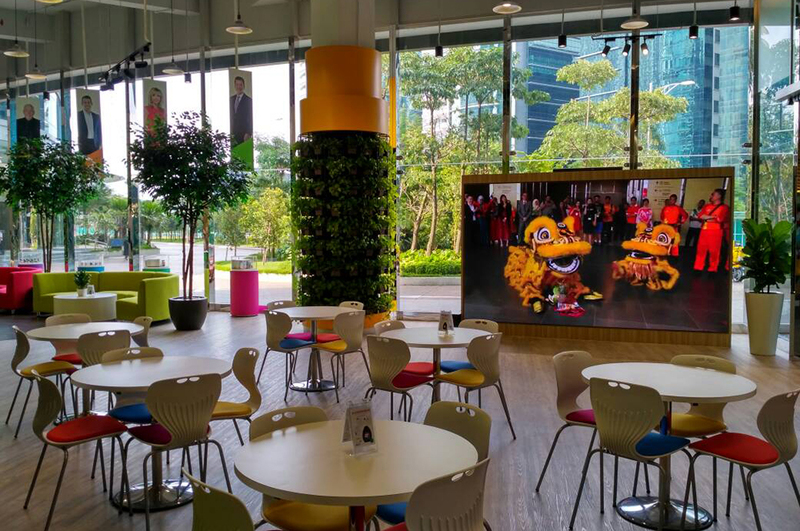 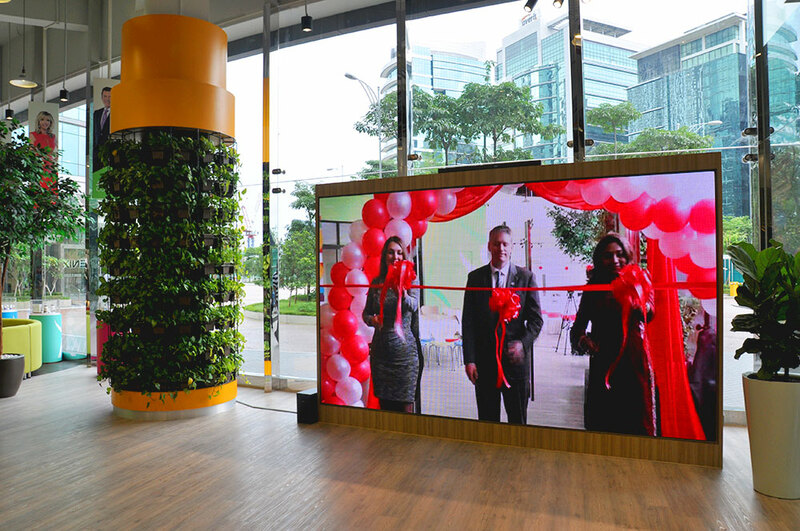 Isagenix Malaysia turned to LEDtronics to garnish their modern and trendy headquarters at Bangsar South with the latest, indoor high-resolution LED Screen. We were more than happy to comply. 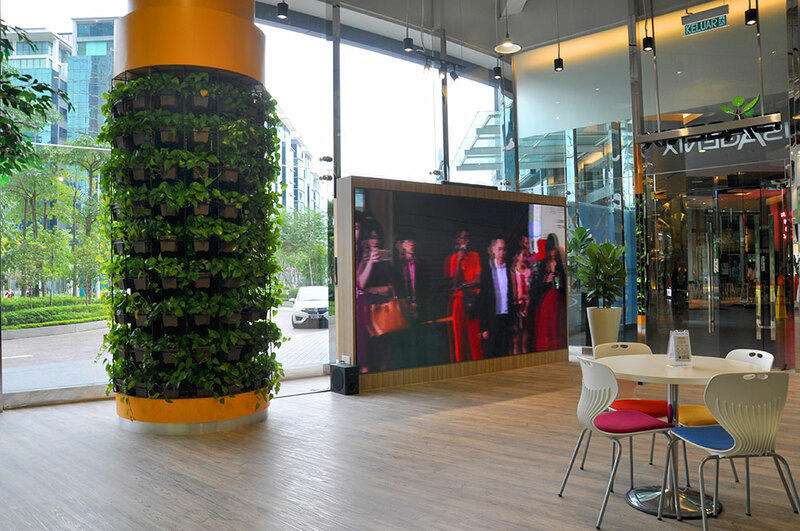 Creating a digital display indoors allows the opportunity for us to employ the use of some small pitched LED modules, allowing for us to construct a fine display. 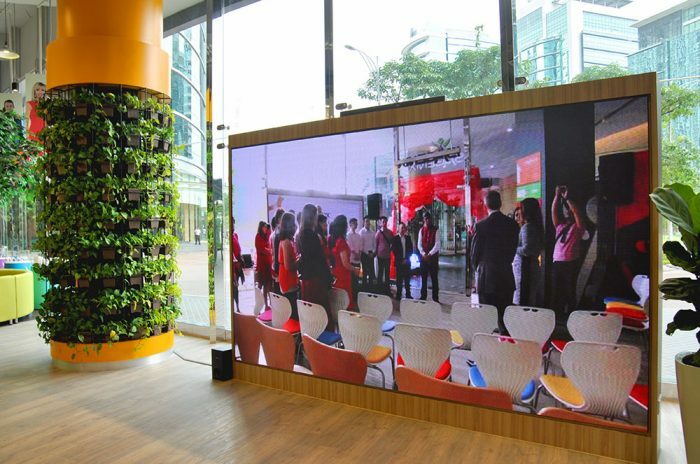 Partnered with vibrant and colorful content, the display lit up the atmosphere, creating an attention grabbing media wall.